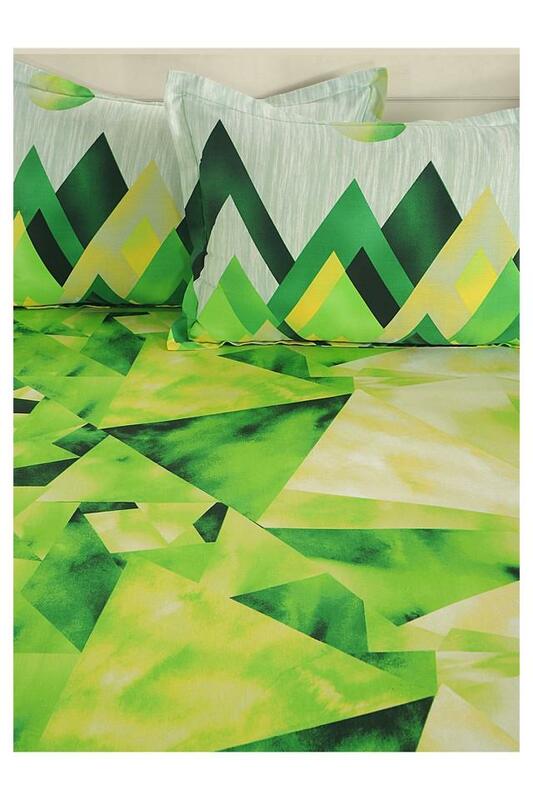 Rev up the interiors of your bedroom with this trendy bed sheet and pillow covers. Featuring a geometric print pattern, it also has a fine colour combination. Furthermore, it has been made of a superior quality fabric that ensures a soft touch against your skin. Dimensions: Bed Sheet - 229 x 274 cms, Comforter - 229 X 254 cms, Pillow Cover - 46 x 71 cms. Make a fine addition to your bed linen collection with this bed sheet and pillow covers brought to you by Swayam.